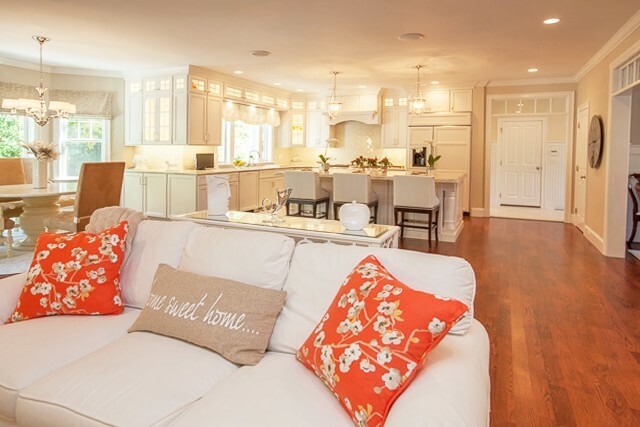 Transitions Kitchens and Baths – Transform Your Kitchen Design with a New Backsplash! Transform Your Kitchen Design with a New Backsplash! Is your kitchen design a little too Plain Jane for your tastes? Or perhaps, it reminds you of the 60s, 70s or 80s. No matter your reasons for wanting a fresh style, look no further than a kitchen backsplash – this is a cost-effective way to completely change the look and feel of your space on its own, or to put a stamp on your kitchen design style as part of an overall kitchen remodel. From tile to stone to glass to metal, this stylish addition can add a uniquely personal touch or a splash of color to any kitchen design, while simultaneously protecting your walls from stains and heat. 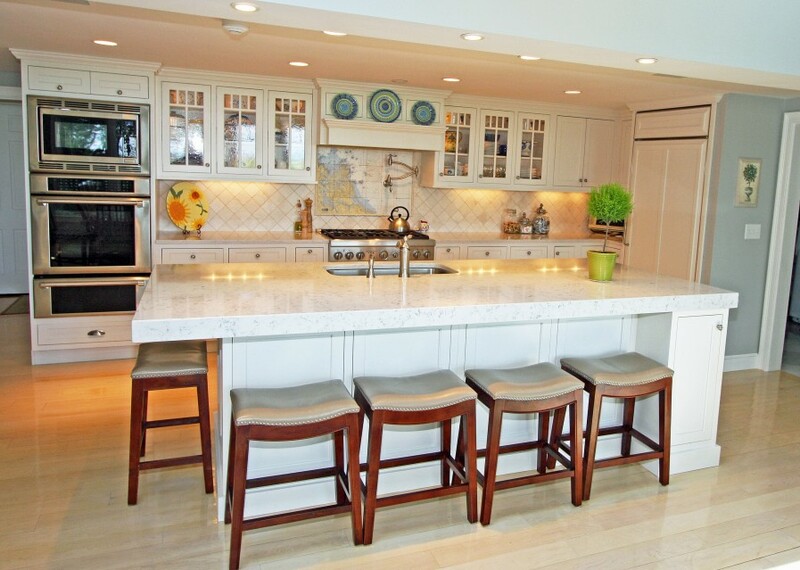 For years, white kitchens have been all the rage. And while they’ll probably never go completely out of style, sometimes it’s nice to incorporate a little character or panache into a space. Add a colored backsplash to an all white kitchen design to create a fun and inviting kitchen where you’ll love to cook and your guests will love to hang out! A kitchen backsplash adds a focal point to an otherwise plain looking room. There are so many intriguing tile options these days, like the mosaic tile backsplash below left or this incredible tile display below right. 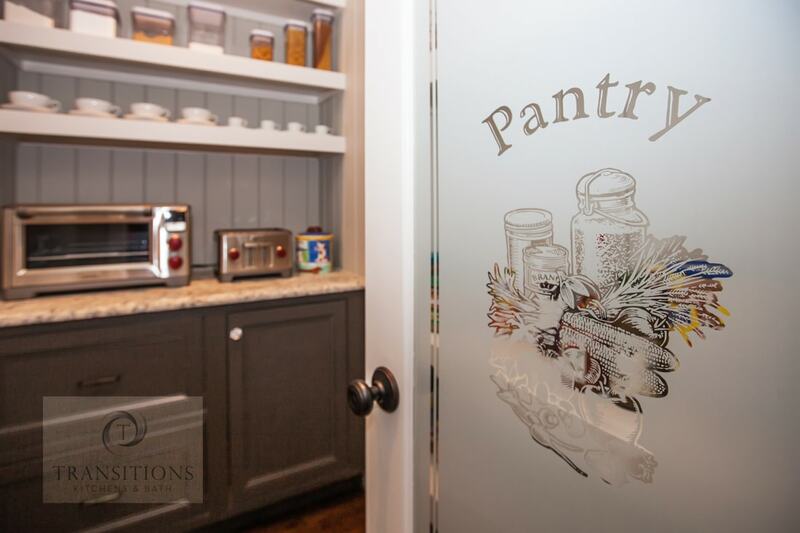 No matter your taste, we can help you add some flair to your kitchen walls. A multi-layered kitchen lighting design is essential, but why not complement your kitchen lighting by using glass or metal tile, like in this kitchen design, to reflect the light – leaving you with an incredibly bright space. Backsplashes aren’t just for the kitchen. 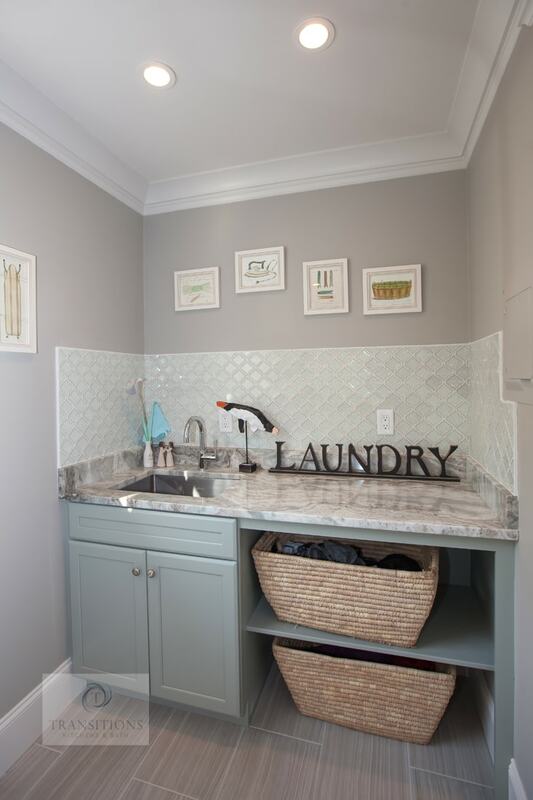 To prevent water damage and excess soap scum buildup, incorporate one onto your laundry room or bathroom walls. 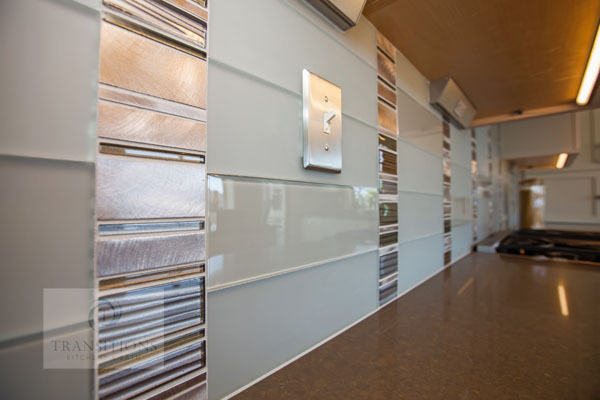 Backsplashes come in a variety of materials, making them very cost-effective. You’re no longer limited to ornamental and glass tiles. If you’re on a budget consider using sheet metal or vinyl to give your space a reasonably priced, contemporary look. A backsplash is no longer relegated to a purely utilitarian function in a kitchen. 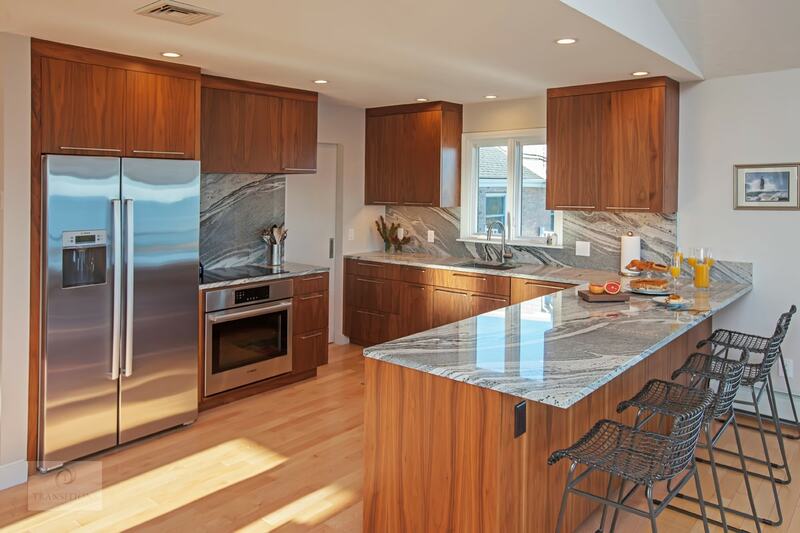 Backsplash materials come in a wide array of materials, colors, textures, and patterns, offering a range of styles to complement any kitchen design. The backsplash also sits right at eye level, making the connection between your base and upper kitchen cabinets. This leaves them perfectly situated to become an eye-catching focal point, whether you choose to select a bold color or pattern for the entire backsplash or just create a focal point in one area. Kitchen backsplashes are easier to clean than paint or wallpaper. They also protect the walls from cooking splatters and stains, which can be very difficult to remove. Cooking can leave trace odors in the walls, but a backsplash will help prevent the absorption of odors. 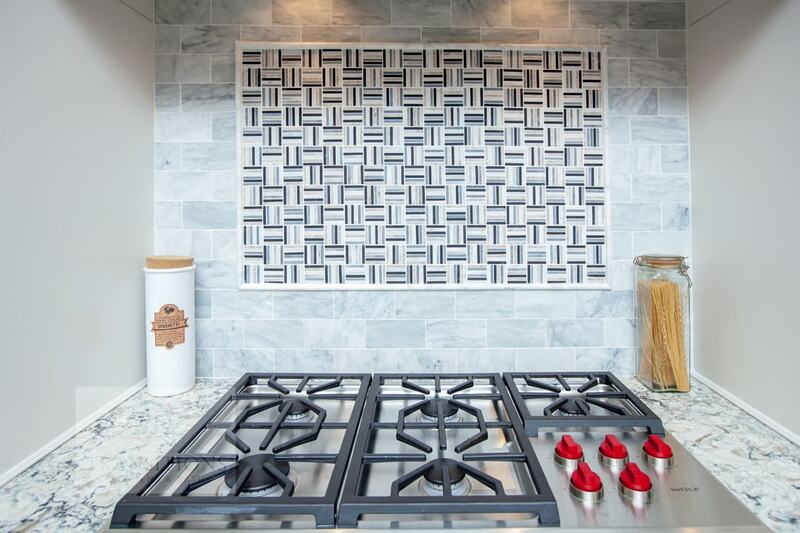 Kitchen backsplashes are both stylish and functional! 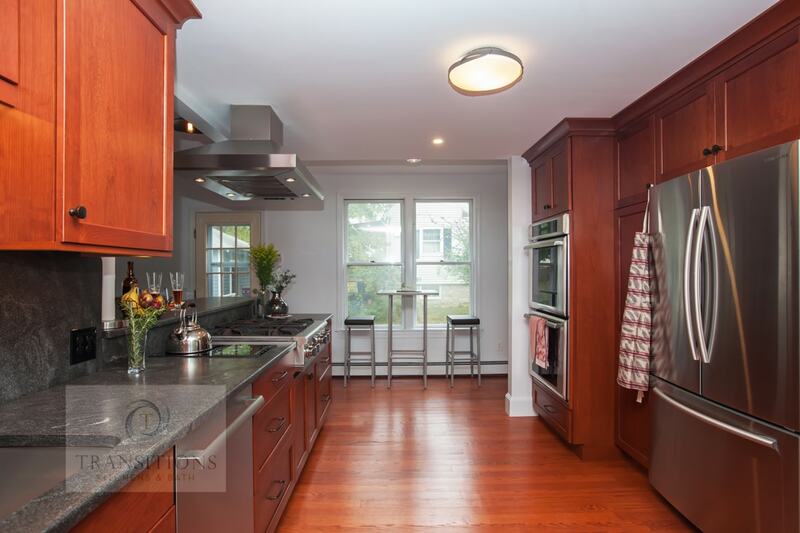 For more kitchen design style ideas, visit our gallery. 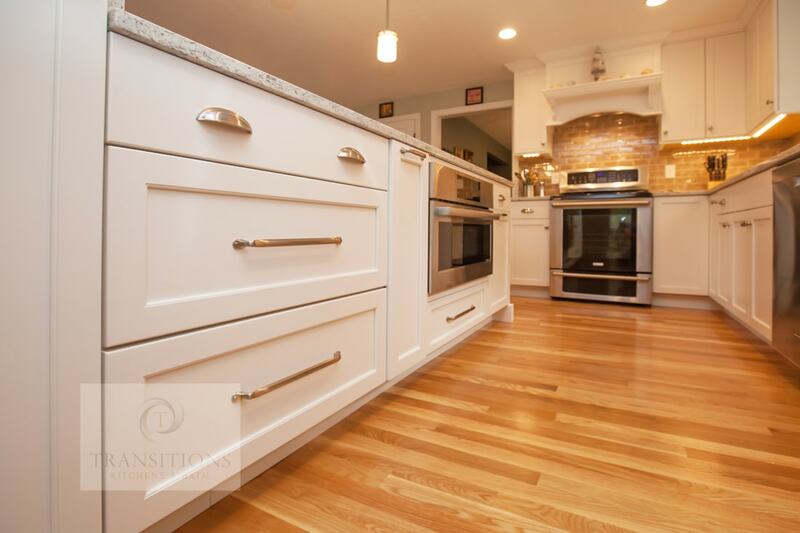 Or contact us to receive more information about a kitchen renovation! By tkbrAdmin|2018-09-15T13:15:11+00:00September 15th, 2018|Kitchen Design, Kitchens|Comments Off on Transform Your Kitchen Design with a New Backsplash!